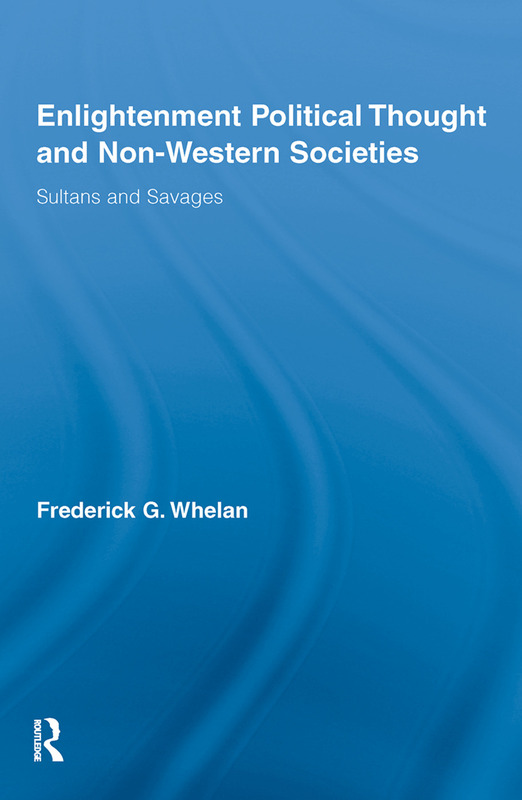 Frederick G. Whelan, a leading scholar of Enlightenment political thought, provides an illuminating and incisive interpretation of key eighteenth and nineteenth century European political thinkers' accounts and assessments of the societies and political institutes of the non-Western world. These writers opened up a major new comparative dimension for political theory and its project both to explain and evaluate different political regimes. While the intellectual confrontation of European thinkers with alien cultures tended on the whole to confirm Westerners' sense of the superiority of their own institutions, it was also characterized – during the Enlightenment more so than later – by convictions regarding a common humanity and a corresponding sympathetic curiosity about different ways of life, however primitive or exotic they might appear. This book will be of interest to students and scholars of both political philosophy and thought as well as historians of this important period of history.